03 October 2016. 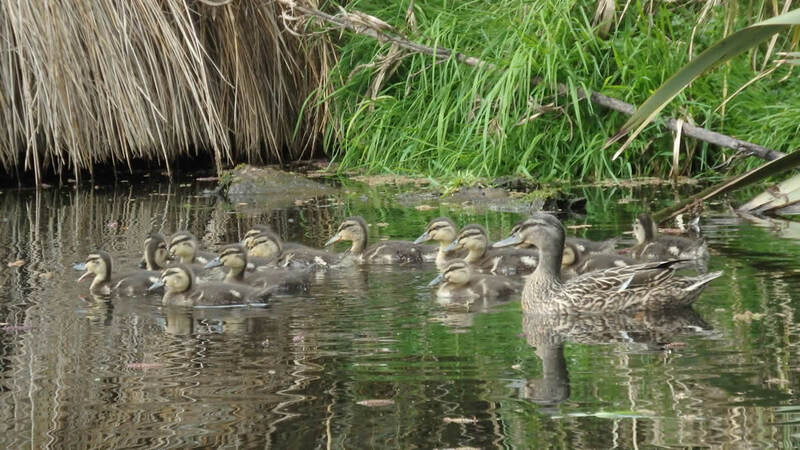 Mother mallard duck with her brood on the big pond of the damsite block. 10 May 2015. 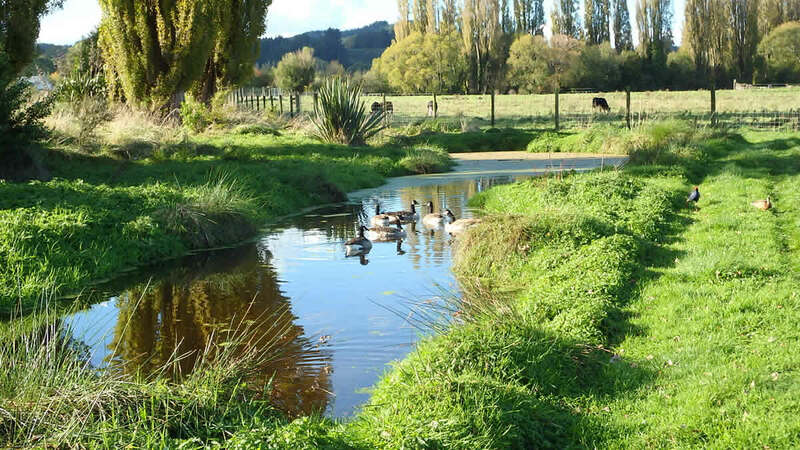 Canada geese resting in the old farm drain ditch in the Culling block. 20 March 2015. 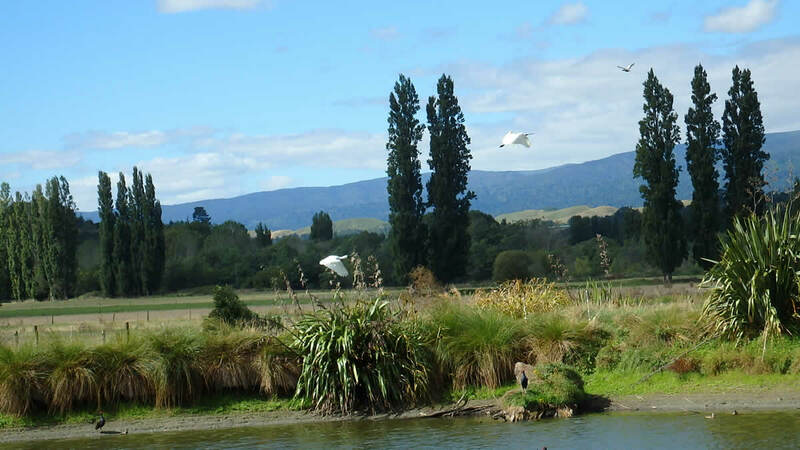 New Zealand Royal Spoonbills on take-off from the big pond in the damsite block. 15 November 2014. 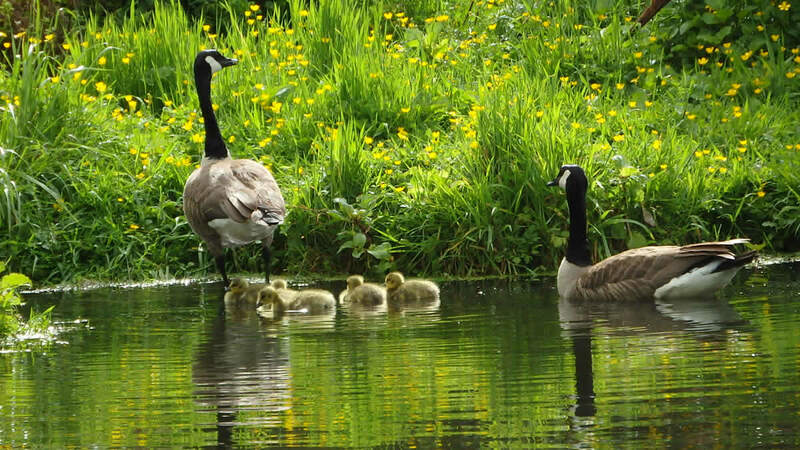 First time hatching of Canadaa geese goslings in the wetlands. 30 June 2014. A mild Winter so far. 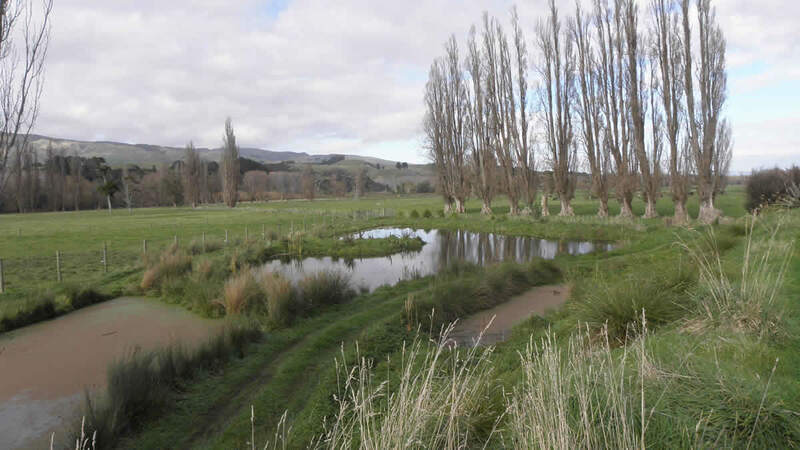 Looking over the raupo block from the head of the big pond in the damsite block. 17 January 2013. 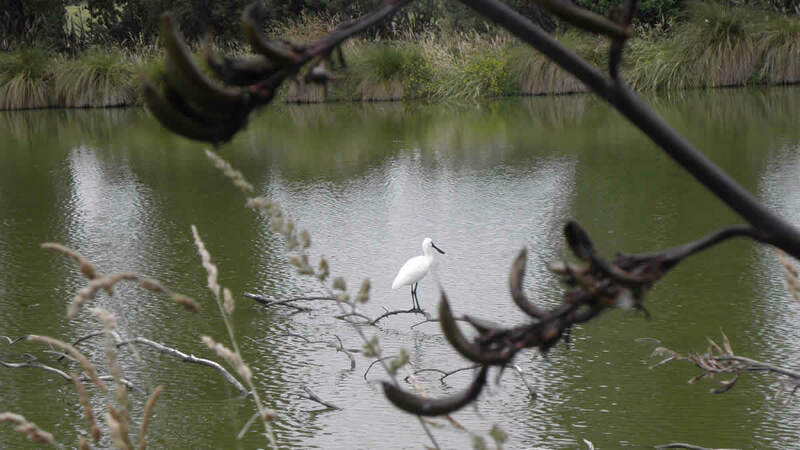 Mid Summer visit by a spoonbill resting on a poplar branch on the big pond in the damsite block. 12 December 2013. 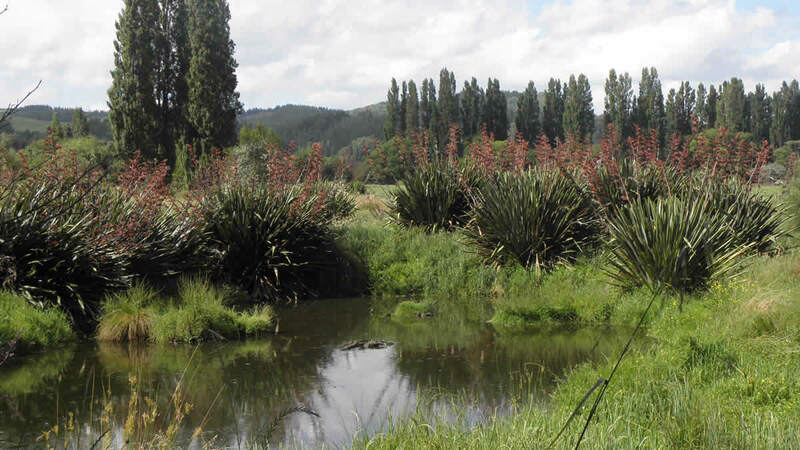 Early Summer with a not-seen-before profusion of flowering flax to the Tui delight. 06 July 2013. 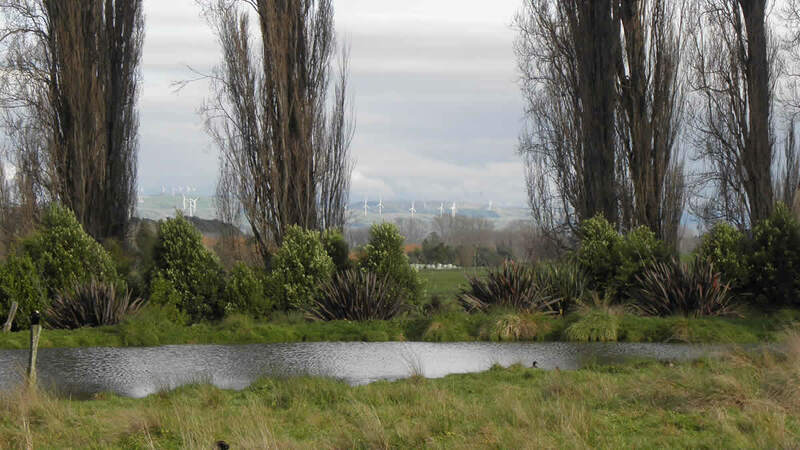 Winter telescopic view over Spring Pond of Te Apiti wind farm near Ashhurst . back to The Wetlands folder.